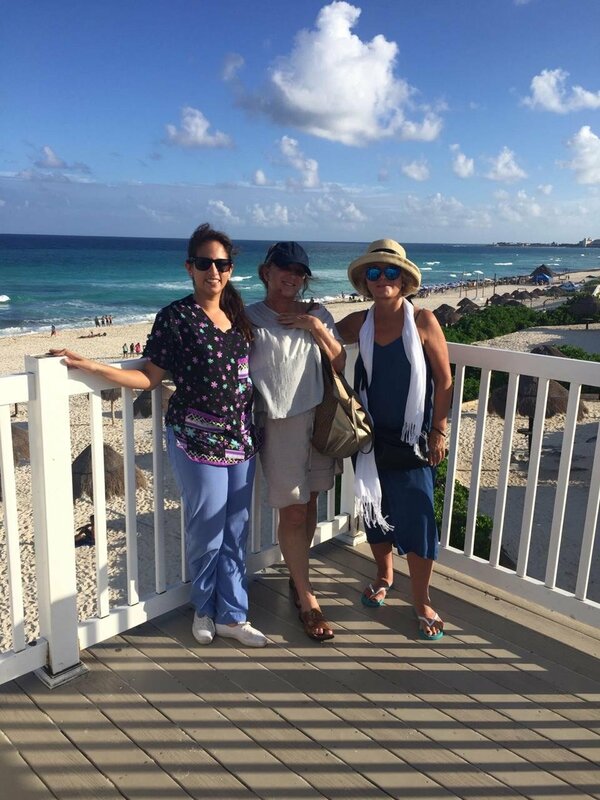 A big THANK YOU to the team of My Medical Vacations! I wish I could say that the entire process of surgery was easy. What was easy is how well Katie, Alex, Paco, Ana and of course Dr.samano worked together to provide everything I needed. I admit to having feeling of regret the firt 3 days post-op and I went into a little depression – especially when Ana (nurse) struggled to get me into the compression garment that I’m supposed to wear 24/7! I could barely breath couldn’t sit down or sleep with it on, and luckely I remember to bring 2 compression garments of my own. cone is spanx and the other is a nylon- type of girdle. I wear both of them at the same time and Dr.samano said it’s ok for me to wear them until my swelling goes down and I fit better in the other one. Anyway, the whole team was amazing, punctual and there for every step of the way! I have to add that this Medical Vacation would have been a lot harder without my supportive husband who has been here to assist me! 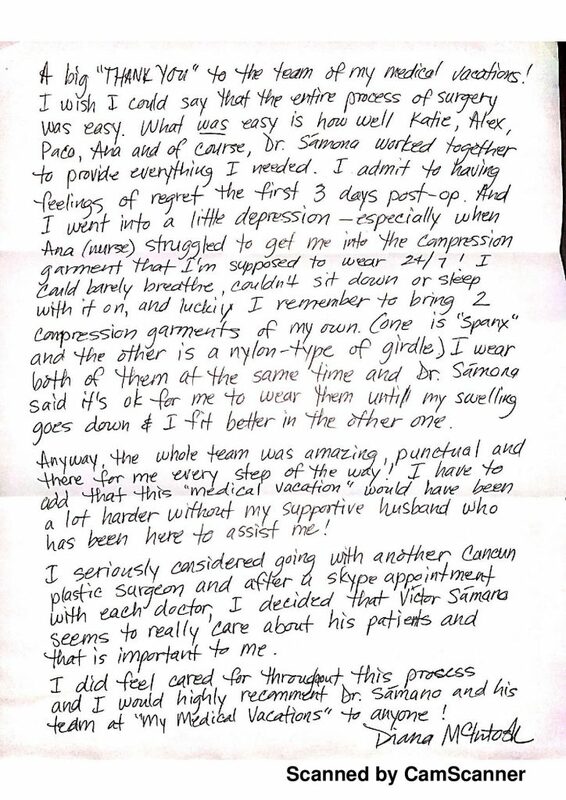 I seriously considered going with another cancun plastic surgeon and after a skype appointment with each doctor, I decided that Victor Samano seems to really care about his patients and that is important to me. I did feel care for through this process and I would highly recommended Dr.Samano and his team at My Medical Vacations to anyone!